The result from an empirical study conducted in 3 European Countries show that the key factor, that has the largest effect on service development performance is the adoption of a service development strategy . 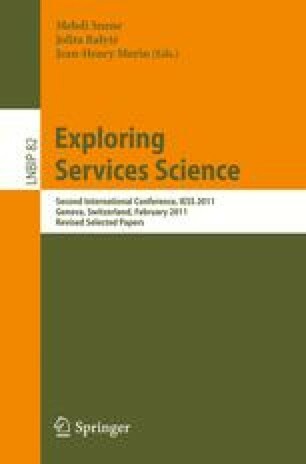 For that, the strategic advantages of comprehensive service systems were set out in this article at hand by the authors. It is explained how companies can develop and choose their strategies for service extensions by using the various types of services with or without IT support. Possible strategies include service extensions through follow-up services, IT-based and smart services, ensuring compatibility with the existing core product/service. This position paper presents a systematic strategy-based service innovation procedure based on a stage-gate concept and a company-specific toolbox of methods and management tools. The application of a field-proven process model and selected method set as a provisional result of a research project is proposed to bring the advantage of immediate commercial use, together with the targeted generation of competitive advantages and a reduction in time and money spent on service business development.